What Happens When Co-Parents Can’t Agree on Childhood Vaccinations? Under Florida law, shared parental responsibility anticipates that both parents will participate in making parenting decisions impacting the welfare of their children. When parents disagree, sometimes the only resolution is found by going back to court. The issue before the court will not be which parent is right and which parent is wrong, but which parent’s decision- making will serve the best interests of the child. Ultimately, one parent will be awarded sole parental decision-making authority on the contested issue. The vaccination of children is a topic that can be very controversial between parents. Vaccinations are mandated under state law for school attendance unless waived by meeting certain criteria, including, but not limited to, having religious beliefs that do not permit vaccination of your children. Two family law cases in Florida involved a disagreement between parents over the vaccination of their children. In both cases, the objecting parent was a chiropractor practicing holistic medicine that did not include the practice of routinely vaccinating children. In one case involving a paternity action, the parents could not agree on the need for vaccinations, and submitted this issue to the paternity court for resolution. The father presented medical evidence addressing the benefits of vaccination. The mother provided evidence based on both medical and religious grounds that supported her opposition to the vaccinations. Without discussing its reasoning, the family law court found that it was in the child’s best interests for the mother to make medical care/vaccination decisions for the child. 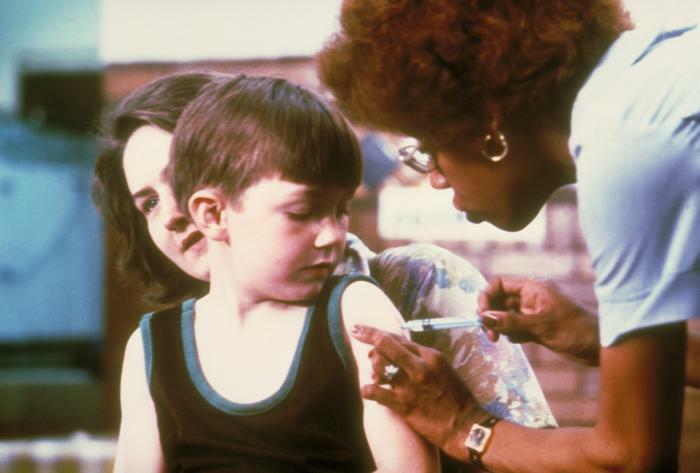 The appellate court affirmed the mother’s award of sole decision-making authority on vaccinations because there was evidence admitted that supported the lower court’s decision. A second case had a strong religious belief component and a different outcome. In that case, the mother was also a chiropractor, but in addition to believing in holistic medical practices, she believed vaccinations were contrary to the tenets of her religious faith. Both sides provided conflicting expert medical evidence about the safety of vaccinations. The trial judge found that the best interests of the child were served by awarding the father sole decision-making authority regarding vaccinations because the mother’s beliefs could cause harm to the child. The appellate court also affirmed that decision because the decision was adequately supported by evidence. The appellate court also noted that though court imposed restrictions on parental religious practices are usually not upheld, it would affirm a restriction on a religious practice that was clearly proven to be harmful to the child. Interestingly, a Virginia family law court reached a different outcome under essentially similar facts. In that case, the family law court found in favor of the father’s position that it was in the child’s best interests to receive vaccinations. In this case, however, the court awarded sole decision-making authority regarding vaccinations to the mother, who opposed vaccinations on religious grounds, because of her historical primary role in taking care of the medical needs of the child. Since judicial decisions regarding parental sole decision-making authority on vaccinations seem to be made on a case-by-case basis, if you and your co-parent disagree about vaccination of your children, it is important to consult an experienced family law attorney to assist you in presenting a strong case supporting your convictions on this issue.